Wine is a compatibility layer that enables you to run Windows programs natively on Linux. The latest Wine devel package, 1.9.16 was released on August 5, 2016. Improved 64-bit binary compatibility on Mac OS X. This tutorial will show you how to install the latest Wine development package on Ubuntu 16.04/14.04 LTS. Wine 1.9.16 deb package landed in its official Wine PPA on Launchpad. So fire up a terminal window and execute the following 2 lines of commands one at a time to install it from PPA. This PPA also works on other Linux distributions that are based on Ubuntu 16.04/14.04 such as Linux Mint and Elementary OS. Before you download any Windows .exe file and use Wine to install Windows program, you need to run the Wine configuration program by executing the below command in the terminal. It will create a .wine directory, aka wine prefix or wine bottle, under you home directory. The virtual C drive will be created in this directory. Also this command will help you install Wine mono and Wine gecko package. Wine devel package often offer better compatibility and performance. 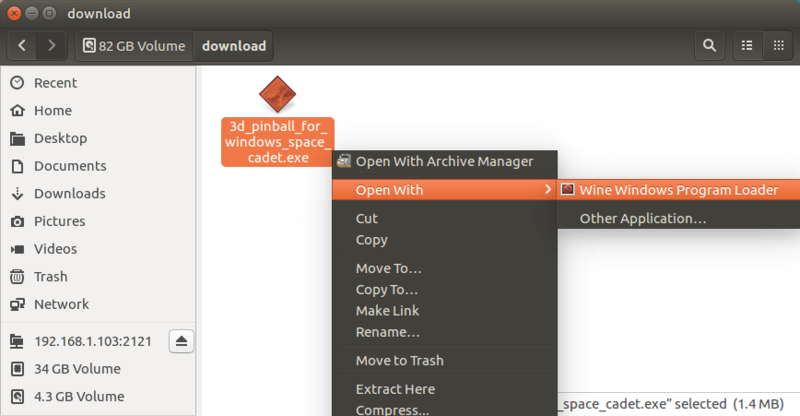 To install a Windows program on Linux with Wine, simply download the .exe file and then open it with Wine Windows Program Loader like the screenshot below. Then follow the instruction of installation wizard. 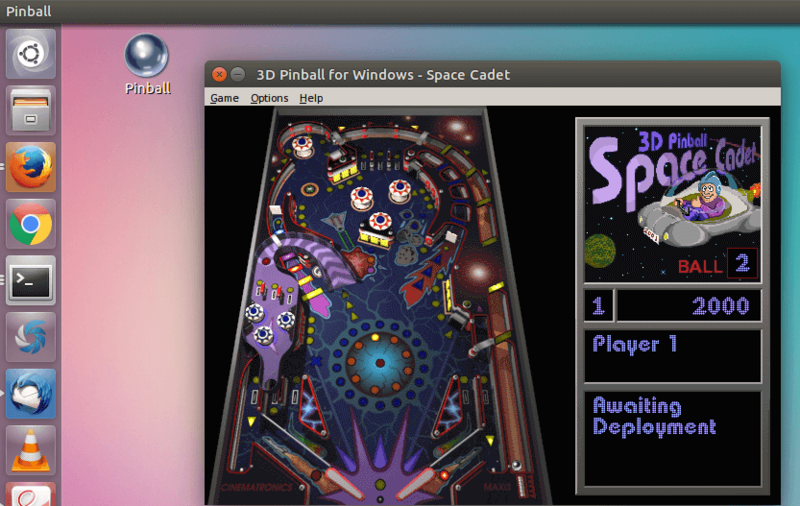 And now I can play 3D Pinball on Ubuntu 16.04. Yeah!